Peter Pellandine’s Falcon Shells (later, Falcon Cars) built kit cars and body shells for cars in England between 1956 and 1964. The first two models they offered were called the Mark 1 and Mark 2. The third car was called the Competition and the fourth car was introduced as the Mark III but sold as the Caribbean. What we have here is a Competition model, sometimes referred to as a Mark III because it was the third model the company built. This sports racer was originally fitted with running gear from an MG A which has since been swapped out for a Ford Cortina’s 1.3-liter straight-four. The kit cost £560 when new and both a Ford engine and a chassis were included in that price. Or you could just buy the body shell. This particular example has been active off and on in historic racing since 1994. It’s been recently prepped and is ready to run. It is described as the “last known” Falcon Competition “known to exist.” Either that means it is the only one left or it was the last one built… I’d lean toward the last one left. Either way, you can read more about it here and see more from Russo & Steele here. 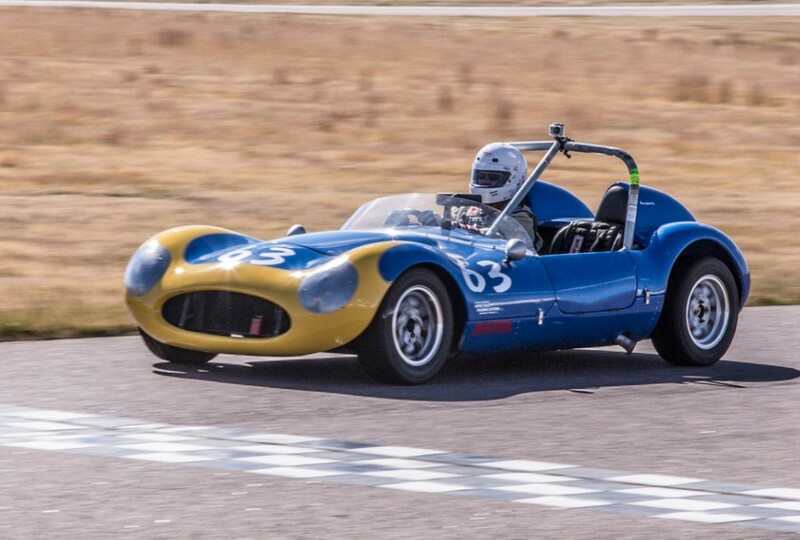 This entry was posted in Uncategorized and tagged 1963, auctions, cars, classic cars, competition, falcon, mk iii, race cars, russo & steele by classiccarweekly. Bookmark the permalink.